It’s been quite a long time since I wrote any posts on my blog, but there are certain things that can’t be kept silent for too long. This is a message of gratitude to an unsung hero. a dear friend of mine, an activist, an a true unsung hero in several NGOs I’m engaged with. This gentleman works behind the scenes, does double the effort than most, has the kindest of hearts and a brilliance that is rare to find. Topping all of that, he is down to earth and a true believer in the values of the organizations he joins/founds/advises. What triggered my post is the fact that this week…one of the dear NGOs to his heart, and mine, has been officially shut down. It wasn’t shut down by force or by external factors but by an unanimous Board decision, including Mr. Aziz. The choice was tough for all of us, but I know for a fact that it is by far the toughest on him than any of us. In spite of all that, he’s been orchestrating the process, handing all the necessary documents and coordination to ensure a smooth and successful transitioning for the status of the organization. But his efforts, input and value is not just about this NGO, but rather for the past 9 years I’ve known him in, he’s been the most trustworthy, consistent and resourceful individual in my volunteering experience. So to you Youssef I want to say, your work shows when the organizations you’re involved in succeeds in whatever decisions it takes. To you I say, and bluntly, if it wasn’t for you, at least 4 NGOs that you and I know of/volunteer with/advised, wouldn’t have succeeded or existed. So what you’ve done, is setup the infrastructure for those NGOs to be built on, serve others and grow. On my behalf, and undoubtedly on the behalf of many others, I say thank you for who you are, what you’ve done and what you continue to do day in day out. 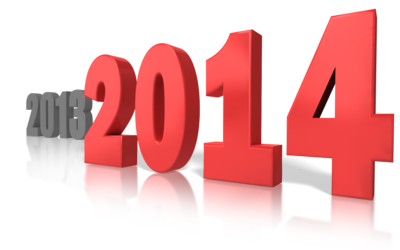 Now that we’ve embarked on 2014, and after spending some time reflecting on how everything went in 2013 in my life, I’d like to share some of the milestones and things that were important to me in 2013 and some of those that I have planned for 2014. Over the years, I’ve learned that when we share and write what we have achieved, we value it more, and when we do the same for what we dream and plan of, we somehow become more psychologically motivated and committed to achieve it. So I do recommend you share the same, whether here as a comment on this blog posts or with your network somehow. · Read A Lot: Just a quick estimate, I read around 3 articles daily on topics of interest, each ranging from 1 to 5 pages. So if I take an average, I read about 1,000+ different topics in 2013 alone. · Learned to Let Go: For someone like me who likes to stay on top of things and feeling in-control, it was a tough journey. But nevertheless, I did manage to let go of some personal relations, roles in NGOs and the actual need to be in-control of so many things. · Spent More Quality Time: Yes, this was a key goal for me to have a more balanced life in 2013, and I am glad to say I truly value the quality time I spent with family, friends and loved ones. · Traveled to New Places: In 2013 alone, I traveled to new cities I never visited before and are London, Oxford, Cappadocia, Mersin, Khartoum and Dubai. · Slept More Daily: As of early December, I managed to sustain a 6~8 hour sleep per day (up from just 3~4 hours previously). · Got Promoted: Through my work at CMCS Lebanon, I got promoted to the position of Deputy Operations Manager and will be starting my new role as of January 2014. · Coordinated A New Program at AUB-CEC: Also through CMCS Lebanon and in collaboration with AUB CEC, I’m proud to say I played a key role in launching and coordinating the Region’s 1st Project Management Postgraduate Diploma. But to be honest, team work is everything, and the team I work with at CMCS and AUB are the ones who truly made it all happen. · Trained A Lot: Throughout 2013 I gave more than 10 training courses at AUB and others, while I’ve also introduced a new certificate based training course about Business Analysis called Certified Business Analysis Professional (CBAP) which I’m also the only certified professional in Lebanon till now. · Transitioned Out of Aie Serve: For 7 years, I served as a co-founder and president of Aie Serve and it was about time to let a new leadership come in place and shine. So I’m proud to say that we successfully did an elections where a whole new Board was elected and I transitioned to become one of the organization’s Advisors. · Revived Global Shapers Beirut Hub: In December, leaders of the Global Shapers Community from the World Economic Forum visited Beirut, and with their support and some Shapers in Beirut, I’m glad to say that I’m playing a role in reviving the previously dormant Beirut Hub. Thus 6 new Global Shapers were recruited in December. · Launched A Youth Project at PMI Lebanon Chapter: With the support of my fellow PMI Lebanon Chapter Board, we’re launching a new Project Management for Youth Initiative in collaboration with PMI- Educational Foundation. · Partnered with CSR AL Ahli: Another highlight for me is making a partnership between Aie Serve and CSR Al Ahli Group to provide Mentors for CSR in Action program to give Social Innovators who are working on serving the community the needed support to succeed. · Coached, Mentored & Trained Youth: Throughout the year, I realized I enjoy and become full of energy when I am training or coaching or mentoring youth, and thus I spent hours and days with 10s of them in training workshops, meetings, sessions and retreats. · Take Care of My Body: A healthy mind is in a healthy body they say, thus I’ll be focusing taking better care of my own body whether through sports, a healthier diet or just simply less stressful schedule. · Sustain Balance: Keep on the sleeping habits, take more vacations and continue spending quality time in abundance. · Keep Reading: With my current reading habits I guess I’m on the right track. · Excel At Managing Operations: Now that my new role involves working in Operations Management, I’ll be going the extra mile to learn more about it and excel at it. · Expand Training Regionally: Now that CMCS has some stellar training courses and workshops, it’s prime time to take them regionally in 2014. · Start My Masters: I’ve got my eye on 2 Master Programs, and will be registering in one of them before the end of year if God wills. Eventually, it’s about time I proceed my academic growth after acquiring 3 professional certificates in the past 3 years which are PMP, CBAP and GPM-b. · Support Aie Serve’s Growth & Sustainability: With a new Board in place and a Strategic Planning Retreat scheduled early January, I’ll be doing all I can to ensure the new Board and all Aie Servians continue their work properly, grow and enjoy the journey. · Grow Global Shapers Beirut Hub: Now that we have a bigger team, January will be the month when the Hub will do their first event. · Transition Out of More NGOs: New challenges arise every now and then and in 2014, I’ll make sure to take on some of those, but to do that, I’ll need to drop of some of the current load. In this context, I’ll be transitioning out of my role in PMI Lebanon Chapter and Alumni UNESCO Club. · Building A Regional Network for Rule of Law: Through being a John Smith Trust Fellow, I’ll be working with other fellows all around the region from Lebanon, Iraq, Jordan, Oman, and Bahrain, to build and institutionalize a network of chapters in each country to promote and work on rule of law. That is about it for the time being, and I hope you enjoyed it and perhaps got inspired by a few things here and there. I hope you’re doing well. 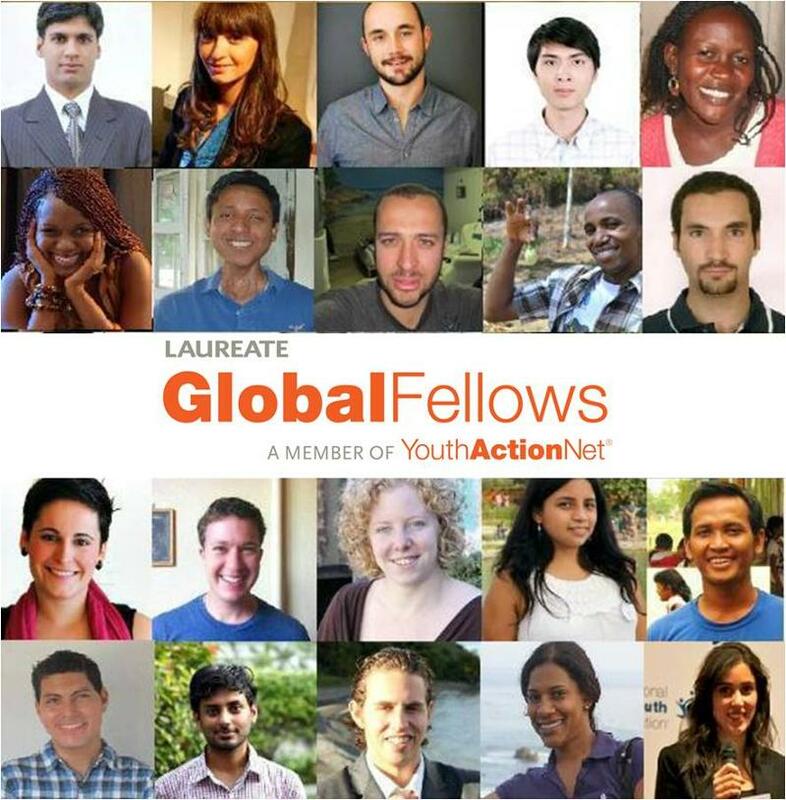 I am writing this post to gladly announce that I have been selected to be 1 of 20, from among thousands of applicants worldwide, to be awarded the “Laureate Global Fellowship” as part of the YouthActionNet program by the International Youth Foundation. You can read more about the 2012 Laureate Global Fellows Announcement and check my profile and the other 19 Fellows on the Meet the Fellows Page. Moreover, you can better understand Aie Serve, the organization that I’ll be representing, by visiting its Website and its Facebook page. My dear reader, for a while now we’ve been hearing endless analysis, campaigns and strategies about each one of the above topics individually..from the Arab Spring to the Economy in the Arab world and last but not least “the” topic in town: Social Entrepreneurship. What I’ll be doing in this article is drawing on the inter-connectivity of the 3…specifically to shed light on the big picture of the current Arab world and how things are heading. The so called “Arab Spring” started from Tunisia, where Boazizi put himself on fire to revolt in the face of injustice, lack of work opportunities and his sense of hopelessness… he just gave up on his life and on going anywhere but downhill. Yet, Boazizi was not an ignorant man nor a weak person, he was a man of modest education, hard worker and a lot of perseverance. Yet what he lacked was a job, a sustainable and decent income for himself and his family. His story isn’t an “island” but rather a story shared by so many across the Arab world, from illiterates to PhD holders, who are facing difficulties in finding a job…and the unemployment rates are soaring higher than ever. With the youth bulge in the region, which the World Bank estimated in 2010 that 60% of the Arab world are people under 30 years old, the market is becoming a highly competitive place for job seekers. Millions of Arab youth are working hard on getting their education, graduating and then…the rest is unknown. The funny/sad matter is that the higher the degrees the youth are getting, the harder it is to find a job in their hometown. One asks himself the question of why? How come? …but the answer is simple..there aren’t enough jobs out there…the infrastructure and companies aren’t equipped well enough nor are they growing fast enough to accommodate for this influx of highly educated workforce…and the list can go on. Consequently, most of those youth who are jobless and are not being heard…have no where to go but the streets…to demand change..to demand jobs..to demand their dignity to be safe-guarded…and when you have thousands and millions of educated people either in low-paying jobs or jobless …they will revolt…they will seek to make things better…one way or another. Now the case is that many Arab countries, the economic status they have is different, the social behaviors are different, norms and cultures may also be different…yet what all of the revolutions have in common is demanding change..a change in governance…a change to the better…a change to put up leaders who care for the nation more than they care for power…a change that will bring about economic growth, jobs, resources, dignity for the people and a sense of equality and justice. Now if we take a bird’s eye view on this whole matter, and with some research into past revolutions across the centuries from the French revolution until today…one can simply realize that after every revolution..there comes some chaos before order is restored…and things will look better hereafter, much better. Moreover, how things will look in the future…is not much of a mystery either…history repeats itself, with minor modifications. The issue in the Arab world is not the lack of money or resources, there are billions of it in cash yet it’s how we’re making use it(or the lack of). Educated youth will start seeking to create jobs for themselves, rather than seeking jobs. They will starting making some start-ups, capitalize on the entrepreneurial/innovative skills and become more willing to take risks rather than seeking a stable governmental/corporate jobs. Numerous capital ventures, angel investors and impact investors will start popping up to support Social & Impact Entrepreneurs who not only seek making profit but also leaving a positive impact on the society along the way. 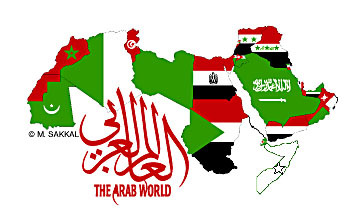 Arab nations will realize that each country will not be able to sustain and grow on its own … thus cross border/pan-Arab economic and infrastructure projects will be launched. From unifying electric grids, to opening borders for trade and travel, to creating joint ventures, to mega infrastructure improvements to lure more investments and build a ripe ground for further corporate growth. This will look something similar to the Marshall Plan set by the US to aid Europe rebuild itself and prosper post World War II, yet its Arab based for Arab’s benefit. Family based businesses will nourish and especially those that are gulf based, state supported, and/or “royal”. With the rich getting richer, we can expect some major growth in family based conglomerates. Educational systems will start shifting into more specialized degrees, informal learning, on-the-job learning, and major involvement of technology in the whole learning process. Real-estate business will no longer be the major industry in many countries, to be replaced with other industries like ICT, manufacturing , agriculture, telecom, consultancy, tourism, research/think-tanks amongst others as well. Thus requiring a more diverse workforce. The above 5 general headlines will start taking place naturally, one step at a time, to accommodate for the political/governmental changes as well as the expected chaos in some of the countries. These new opportunities and systems will encompass creating jobs for almost 100 million youth that will be joining the Arab workforce by 2020. If jobs are not created in the thousands every month across the Arab world…the economies will not grow nor sustain, governments/dictators/leaders will tumble one after the other…until the wealth is more evenly distributed, dignity and financial-independence is secured for the millions who are graduating annually. Until then…the Arab Spring will continue, chaos and instability in many countries will prevail until the void is filled and nations start rebuilding themselves, one brick at a time.